How do you get to play all of those great courses? That is a question that we have been asked frequently over the years at The Fried Egg. Our answer is, wait to be invited. When invited, go. When there, be polite and enthusiastic. Afterward, send a thank you note or gift. More important, always be on the lookout for ways to pay your good fortune forward. In our experience, golfers are extraordinarily generous people. They are proud of their courses, and enjoy showing them off to kindred spirits. We realize that this answer is a little old-school, and unsatisfactory in the modern culture of instant gratification. Those who don’t want to wait for our old-timey methods to play out can rejoice! Golf networks and societies of all forms are popping up that enable players to tap into pre-existing networks and gain the access they crave. It’s free. Thousand Greens might not have concierge service and the insanely cool calendar of events of the Outpost Club, but that is okay. It is serving a different, simple need - connection. The founder, Manish Goel, may turn Thousand Greens into a business someday, and more power to him if he does. For now though, it is his hobby, and players should sign up while the price is so nice. The structure is wisely designed into tiers based on the status of the club. Members can connect in their own tier, and in the tiers below, but not above. This bit of reasonable shielding allows members from the top clubs to participate without being bombarded. The network is based on the principles of karma. To be able to ask for a game, you have to host a game. The more assistance you provide to other members of the community, the more good will come back to you. No free riders allowed. The website has easy to use functionality for arranging games, plus a community forum, and our favorite - a personal network organizer. Finally, Manish is a genuine good guy giving his time and money to benefit lovers of the game. That is a vibe that we support. We caught up with Manish and he generously shared his thoughts. 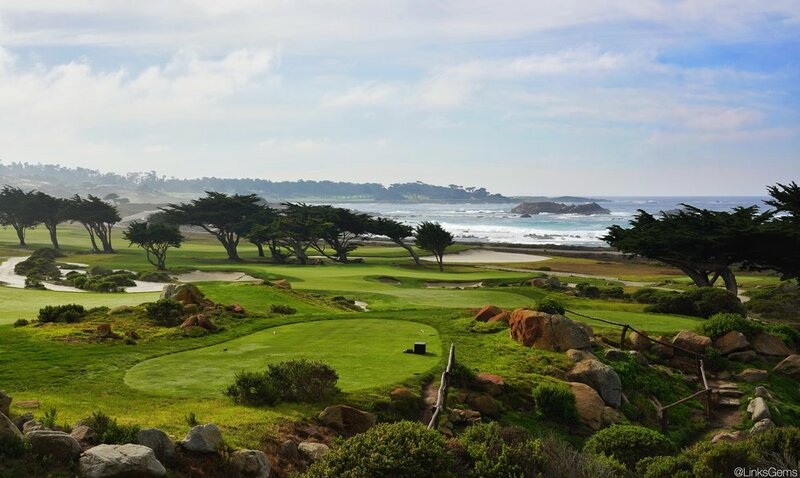 Enjoy the interview, which includes Jon Cavalier’s photos of Manish’s home club Monterey Peninsula Country Club, and then go join Thousand Greens. The first time I hit a golf ball was in 1993, during my MBA program. A very good friend of mine suggested we go out and play some golf. Having nothing better to do, we all jumped in his car and drove to a muni in West Philly, shared his golf set and played a round. I don’t think I was that bad that day actually. I think I instantly liked it. I have been a racquet player all my life, so anything that involves hitting an object with a stick/racquet naturally appeals to me. But I was a fairly serious club level squash player back then, and had just embarked on jobs, kids etc., so did not have much time for golf. Ultimately, I had to give up playing squash because of chronic back problems, and golf just naturally became my sport. What was the first great course you played? Kingsbarns. Funny story. I was a mid-ranking employee then, was at a company event in Spain. After the event, I was waiting in the hotel lobby for my cab to the airport. Our CEO saw me in the lobby and told me he had a spot open up on his private jet going home and if I wanted a ride. I got on the plane nervous as needles, trying to make myself invisible and not spill coffee etc., About an hour into the flight, I got the sense we weren’t going home. 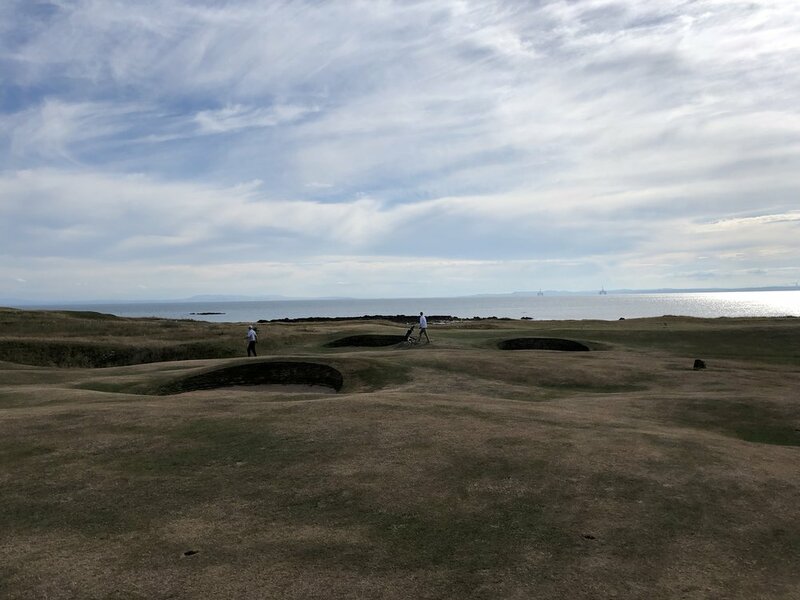 The plane landed in St. Andrews, where we proceeded to play a local muni that day (Elie) and played Kingsbarns the next day before heading home. I don’t really think I am a name chaser. I just love beautiful courses and great company wherever I can find them. I am thinking of making a trip to the Sand Belt in Melbourne next, and maybe a trip to Banff next summer. Can’t I cheat? If it is monogolphy I have to abide by, it would have to be my home club at Monterey Peninsula. The setting is spectacular, the weather perfect, and the course amazing. Describe your perfect day of golf. With good friends, walking (for sure), lots of banter, a bit of small fry betting to keep the trash talk going, feeling reasonably good about ball striking even if the scores don’t show, and 68 degree weather. What inspired you to start Thousand Greens? I retired two years ago at the age of 52. When I started thinking about how I wanted to spend the next several years, like many, my thoughts turned to playing great clubs. I picked up the Golf Digest list, and to my horror, realized that most of them were private and my personal network did not extend to them. Being a problem solver, that got my gears grinding. We live in an age where we are sleeping in stranger’s homes (AirBnB), driving in stranger’s cars (Uber), and I figured we could apply some of the same principles to the world of private golf. That was the beginning of Thousand Greens. When did you realize that TG resonated with golfers? A friend introduced me to a young (well, much younger than me) member at a very nice club in the Bay Area. One day we were playing together, and he said, “You know, you need to get on Instagram.” I laughed and told him that my target demographic does not know what Instagram is. But the idea stayed with me and a week later I started an Instagram account, and suddenly discovered a whole sub-culture of very passionate golfers and they discovered TG. I got a few key influencers interested enough to join, and that had a snowball effect. That’s when I knew I had something here. What have you enjoyed the most about the project thus far? Meeting some amazing people. I am building relationships with really interesting people, learning about new things, and just feeling so energized by it all. It’s my second inning and it feels so revitalizing. What is your vision for Thousand Greens? I would love Thousand Greens to become the community that connects passionate golfers from great clubs to play, form friendships, including meaningful and long-lasting relationships. I have a way of thinking about these things. I feel Facebook was the first social network, and it met the needs of the friend and family person in us. LinkedIn was the second, and it met the needs of the professional in us. Next Door was the third, and it met the needs of the neighbor in us. Activity and Interest based networks are the next step, and Thousand Greens will meet the needs of the private club golfer. I read, binge on Netflix, play poker with my buddies, drink a lot of red wine, listen to live music every chance I get, do honey-dos, and give thanks for how blessed I am to be doing what I do.